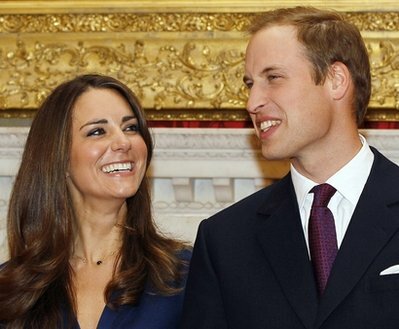 Britain's Prince William and Kate Middleton announced that they are engaged to get married on 2011. I know so many young girls will be heartbroken! The details of the wedding have not been revealed yet, but I'm sure it will be as lavish and royal as we expect it to be. Kate, who has no royal blood at all, came from a wealthy family whose parents worked hard enough for the millions that they have. Now a royal title awaits her but nobody knows yet. William is determined to give privacy to Kate and asked the media to leave her alone so as to prevent her to experience what his mother experiences as the Princess of Wales. Now Kate is wearing what used to be Princess Diana's engagement ring because William still wants his mother to be part of this special moment in his life. Let's wait until he is King William then and see if Kate can become Queen Catherine!